Throw the case out and start again? As the East West Link Board of Inquiry continues it seems a rather piece of damning revelation has come out from the hearings. 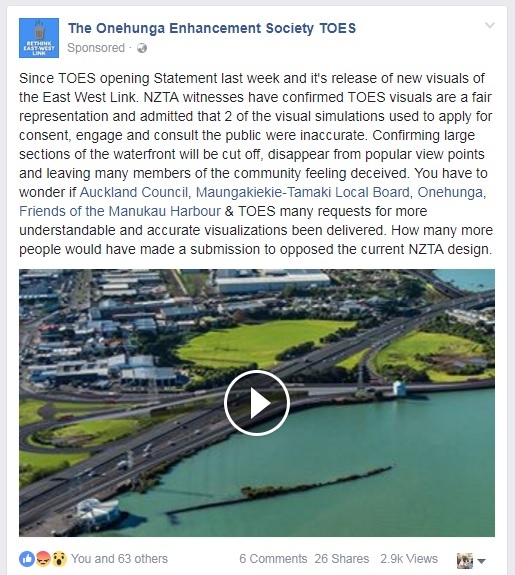 So the visual representation by TOES is admitted by NZTA that they are the correct visuals while the NZTA visuals were inaccurate. 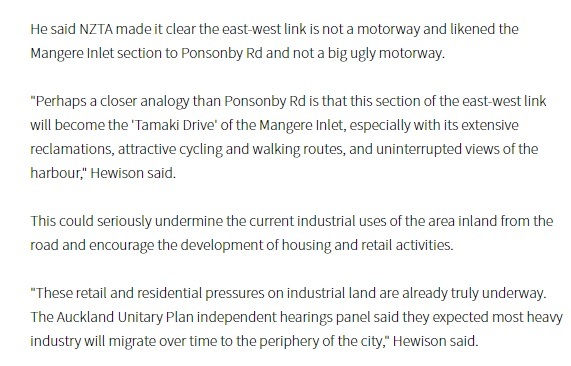 In other words someone in NZTA is telling porkies to try to get the East West Link over the line. Now if a retailer or service provider was caught providing the consumer with inaccurate information that would skewer a rational decision that provider would have their backsides in trouble from the Commerce Commission under a Fair Trading Act complaint. To have inaccurate information from NZTA as such could be deemed to deceive the public from making such a rational choice. Consequently the Board of Inquiry should be dissolved and the entire process started again with the right information. Another way of looking at it is if the East West Link was challenged in the High Court how would the court see the use of inaccurate information that was used to inform and guide the submitters as well as being used in the consent application by NZTA? I would say the court would take a very dim view. 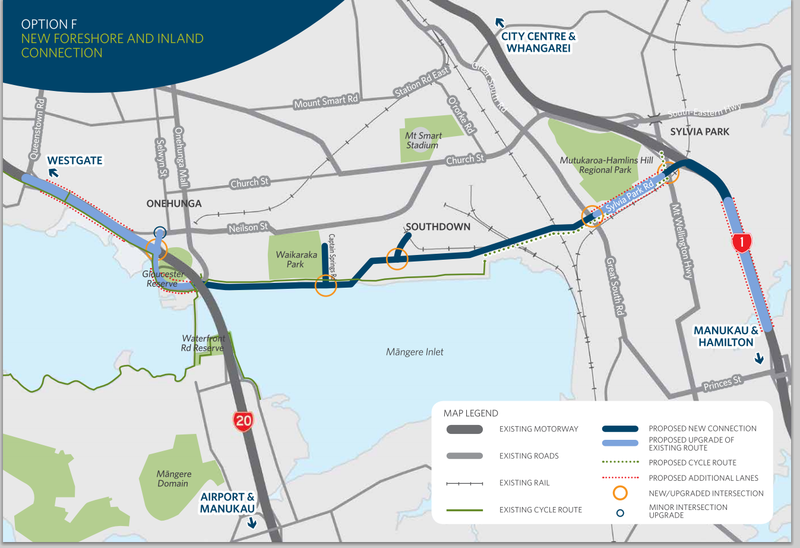 So it seems NZTA have admitted to what is basically telling porkies about the East West Link. Might be time to do the entire process again properly (and costs awarded back to submitters for essentially time wasted as a result of inaccurate information put forward by NZTA). Thinking this isn’t the first time NZTA or the Minister has been caught out obfuscating in order to push a ‘pet’ project through. Of course the consents should be withdrawn!